For over 50 years the Latin-Anglo Alliance Foundation has provided a vehicle to enhance the development of Latinos in the Grand Valley. Our golf scramble is one of the longest running events in the valley and it consistently has been a source of fun, camaraderie and a fixture as a key fundraiser for scholarships given to our youth. Whether you own a business, work for an agency or provide an important service, we all know the importance that an alliance with all various groups of people can have in creating a vitality necessary for successful communities. Join us in the effort as we work together in bridging cultures and learning how we each compliment one another. *It just flat out feels right to give to our local Students! *Win some very cool prizes! *Great food: featuring homemade green chili!!! *Win or lose, we all win! If you would like to Register or Sponsor, please print out the form and send it to the address listed. Thank you to everyone who attended our 2016 Golf Tournament at the Adobe Creek Golf Course in Fruita! We appreciate everyone’s participation! 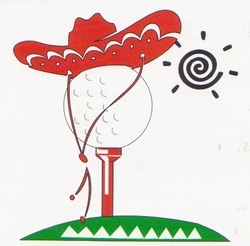 We look forward to this year’s Golf Tournament!